A slight change of direction for a beer blog. I have always liked a drop of rum, though I haven’t had much of it for a long time. I certainly wouldn’t consider myself very knowledgeable on the subject by any means. I have decided that I might take the occasional exploratory trip into the rum realm. however carrying out a bit of preliminary research I found that I have to decide what trail I want to follow. Would I be led by price or style or country of origin? I haven’t made up my mind yet but to make a start I bought a bottle of BACARDI CARTA ORO SUPERIOR GOLD RUM from DAN MURPHYS (37.5%) which at just over $40.00 would likely be considered at the lower end of the spectrum on price at any rate. This rum however was recommended by a member of the staff.- I have opened the bottle.- It had a sweet aroma at the outset and after pouring a measure the aroma filled the room, so I don,t suppose you would be able to sneak a glass without anybody knowing. After a few minutes I was able to pick up a bit of vanilla. With the first sip I felt that there was a bit of a rough edge to it which became less noticeable after a while.I didn’t get the sense of any over the top alcohol heat or burn. 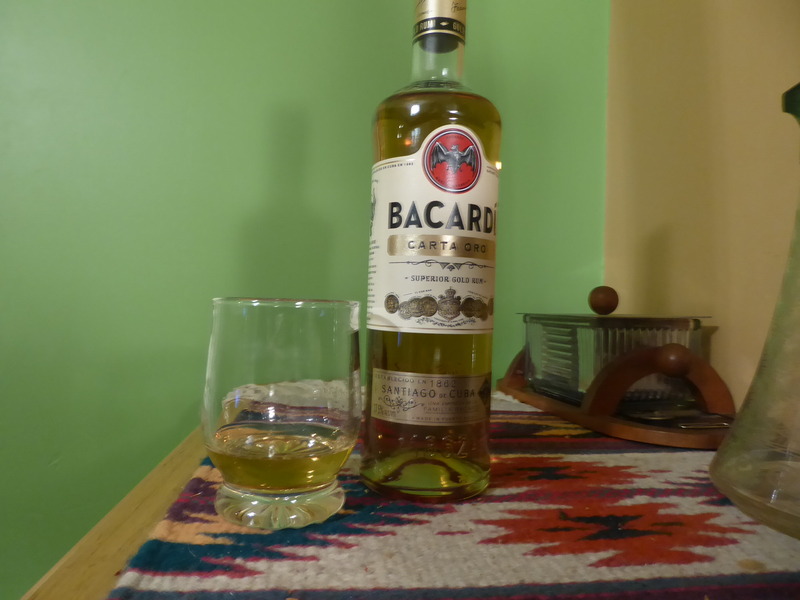 This is the first rum for the blog and as such there is absolutely nothing wrong with it though I didn’t feel as if it was going to remain on the top of my list for long. I look forward to comparing other rums to it. Finally I would have to say that the aroma is its strong point.